In terms of importance, there is no metric more important for e-commerce people than ROI. Sales, traffic, conversions, and others - they all take a back seat in this case. Knowing why and how to calculate ROI comes down to common sense, really. If an investment doesn’t provide a positive return or there is another business aspect with a higher ROI, then that investment should be withdrawn and/or rerouted somewhere else. ROI is measured as a percentage, and as such, presents an easy method of comparing returns from other investments. By allowing e-sellers and affiliates to measure a number of different types of investments against one another, ROI makes only for a basic gauge of an investment’s profitability. We say “only” because in its form outlined above, ROI is too general to offer any deeper insight. Calculating your ROI demands a heightened awareness of the subtlety and general context around your business strategy and goals. 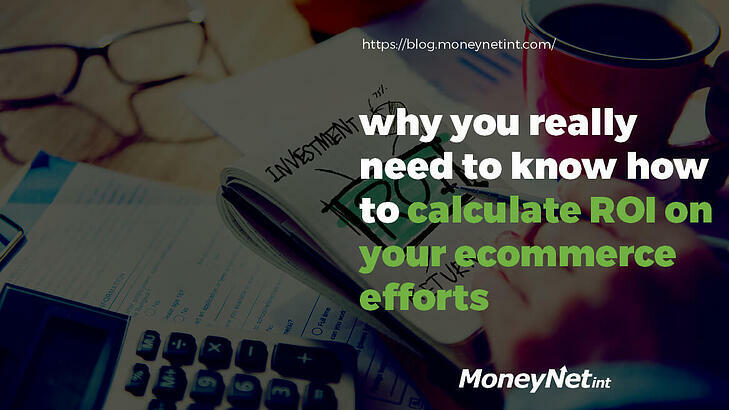 Conversely, there are a few reasons why every online entrepreneur needs to know how to calculate ROI for its e-commerce vehicle. In the next hundred lines or so, we will outline those very reasons. We’ve already touched upon this subject in the paragraph above. The basic, monetary ROI is easy to calculate and implement. However, while it does give a fair idea of how a certain aspect of your business is going, it’s far from being totally accurate. Why, we hear you ask? 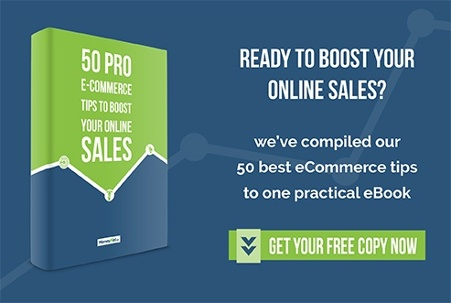 Because the simplicity of this method doesn’t incorporate different sales channels or marketing campaigns that drive customers to your store. Often neglected factor in ROI calculations is time. Observed here as a monetary value, time plays an important role in the equation, even if it isn’t present in black and white. The amount of time it takes to do successfully do your campaigns, for instance, affects the amount of ROI. Here’s an example to illustrate the point. Let’s say you invested $2000 this month in a marketing campaign for a new product and saw $2500 worth of sales. Going by the basic calculation, that's a ROI of 25%. Now imagine you continue with the same campaign for a quarter of a year, raking up $3000 in total sales. That’s a ROI of 50%, twice the size of the initial ROI. Yet, the difference between the first and second investment is painstakingly obvious. While the second investment earned more profit than the first, it was actually less profitable of the two. A 50% ROI spread over a three months period resulted in 16.6% a month, which is obviously less than the 25% ROI on the initial investment in the same timeframe. While there is no tangible way to calculate your time, ask yourself how would you spend it otherwise and how much would you make doing that. Ultimately, it all falls down to calculating if the time is worth the return on investment you are or would be getting. In e-commerce terms, CLV has a large impact on decision-making processes. Being a key indicator of customer acquisition strategy, it allows e-sellers and affiliates to modify tactics and, for instance, assess the budget for the next acquisition campaign. Think all those Amazon Best Sellers just come and go just like that? Getting customers to make repeat purchases is extremely rewarding in the long run. Think about it - how great would it be to know that 1% of super customers and what keeps them coming back? It would be awesome, no doubt. That requires knowing your data to turn investing decisions into methodic formulas so you can spend your hard-earned money better, not more of it. In the vast e-commerce analytics arsenal, ROI is highly desirable and useful. When you are dealing with multiple investments, you go through a myriad of factors that affect your business. Measuring the e-commerce ROI is vital to know the state of your online business, whether it is about straight up investment, customer life cycle, or marketing effort. Return on investment plays an important part in the overall grand scheme of things. In essence, it‘s financial data at its best - money coming in versus money going out. As a thriving online seller, merchant, or an affiliate, you just need to be aware of the limitations of your calculations. If you don’t know how to calculate what it is that you are getting back, you are missing out on revenue opportunities. And that, in today’s harsh e-commerce environment, is a step back from which is hard to recover.